After having so much fun on our NYE party, the party at LXXY has never been stopped! Dust off your favourite outfit, it’s time to party again on FOMO Friday Night!! 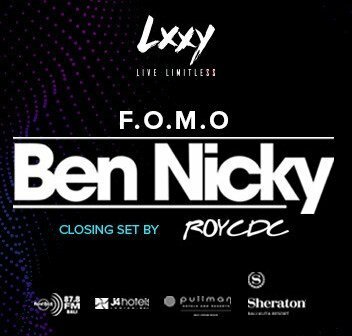 Get ready for the one and only reigning DJ Ben Nicky takes over the stage. Keeping it hype on the dance floor with the closing set by ROY CDC.